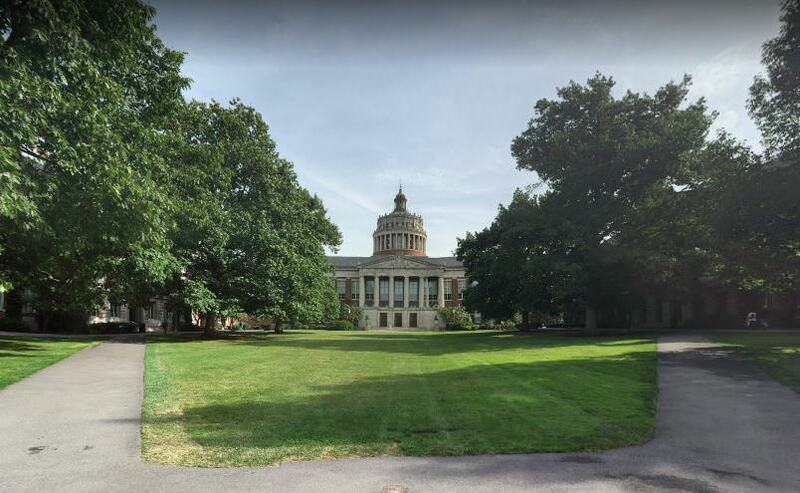 Hundreds of professors are urging their students not to apply to the University of Rochester, a private research university in western New York. The boycott comes after allegations that Florian Jaeger, a professor in the brain and cognitive science department, preyed on female students. Eight current and former Rochester researchers filed an Equal Employment Opportunity Commission complaint against the university in September for what they viewed as the administration's failure to adequately protect its students. Signatories of the boycott letter, posted online last week, said they “cannot in good conscience encourage our students to pursue educational or employment opportunities at the University of Rochester.” More than 400 professors and instructors from around the world have signed the document. The letter's authors delivered it to two board of trustees members Monday. “We, as academics, engage in ongoing promotion of other institutions all the time. It's part of our jobs,” said Robin Panneton, a psychology professor at Virginia Tech and one of the letter's four co-authors. Professors often write letters of recommendation and suggest which graduate or postdoctoral programs their students might apply to. Educators also advise students to steer clear of certain institutions. “There's nothing about this letter that isn't already ongoing all the time,” Panneton said. But it is unprecedented for these discussions to occur openly. This is the first time academics have issued this sort of public statement, said Heidi Lockwood, a Southern Connecticut State University professor of philosophy and co-author of the letter of concern. In September, Mother Jones broke the news of the EEOC complaint. One of the complainants, cognitive scientist Celeste Kidd, alleged that Jaeger sent her sexually explicit messages. When she was a graduate student, Jaeger pressured her into renting the spare room in his apartment. There, he mocked her body and her diet, she said. The university had investigated claims against the scientist twice in the past two years. Yet while doing so, it promoted Jaeger. Officials concluded that Jaeger had sexual relationships with a graduate student and a prospective student. They also determined that Jaeger was not in violation of university harassment policies. Richard Aslin, a former Rochester psychologist and one of the eight who filed the complaint, stood up in a faculty meeting and resigned in protest. After the Mother Jones article was published, Joel Seligman, University of Rochester's president, issued a statement Sept. 11, saying that he stood by the investigation. “Allegations are not facts, and as we saw in Rolling Stone’s withdrawn story about sexual assault at the University of Virginia, even established media outlets can get it wrong.” Seligman later softened his statement and apologized for comparing news reports to the discredited Rolling Stone article. Seligman also said that Jaeger's promotion while he was under investigation for sexual harassment was a “mistake,” the Rochester Democrat & Chronicle reported. On Sept. 13, University of Rochester senior Lindsay Wrobel began a six-day hunger strike. “For me, that was the watershed moment,” Lockwood said of her inspiration to help create the boycott letter. “Instead of protecting individuals who came forward and enforcing the University’s values, the administration sought to diminish the reported events and created a hostile environment for the victims, their advocates, and many other members of the campus community,” the letter authors wrote. The university has commissioned another investigation, led by attorney Mary Jo White, a former chair of the Securities and Exchange Commission. Lockwood said that the second investigation is tainted by Seligman's relationship with the SEC; Seligman has published histories of the agency and, Lockwood noted, is at work on another book. “The claim that there's no conflict of interest is ridiculous,” she said. White “has accepted the assignment on conditions of unconditional independence and unfettered access to all witnesses, documents, and information within the University’s control,” a representative for the University of Rochester wrote in an email to The Washington Post. The University of Rochester representative also said: “The fact is that many students, faculty, and administrators at the University do not recognize the institution described in the letter circulating on the Internet. They are proud of our school and find it to be a welcoming and supportive learning environment. It is regrettable that the letter is signed by many people who do not have direct knowledge of the actual circumstances here. Panneton and Lockwood acknowledged that this boycott has caused “collateral damage.” University of Rochester researchers who rely on new graduate students to grow their laboratories have felt unfairly punished for sins they didn't commit, Panneton said.